Navigating the options for securing green finance can become complex, we aim to save you time by summarising our top schemes. ■ Salix and the Revolving Green Fund 4: The Government in partnership with the Carbon Trust and Salix Financing is providing £34m in interest free loans for public sector bodies to employ energy efficient technology. 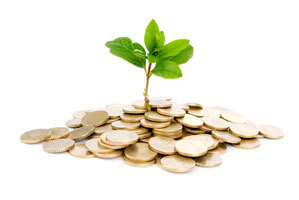 Loans do not require match funding and are available on a first come first serve basis. Projects must payback over a maximum 5 year period and the loan value must not exceed £100 per ton of carbon saved over the lifetime of the equipment. ■ Enhanced Capital Allowances: A Government scheme enabling businesses to benefit from tax breaks when investing in eligible energy saving equipment. Companies can write off the entire cost of purchasing against their taxable profits in the same year, which can reduce ‘cash out of pocket’ cost by up to 23%. Chalmor’s LED range is eligible for this scheme. ■ Chalmor LifeSaver: Our award winning LifeSaver ‘Pay as you save’ scheme allows you to upgrade your heating system, lighting or lighting controls with no capital outlay. Instead, you pay quarterly once the project has been installed. The aim is that the payments would be equal to or less than the savings you make each quarter from reduced energy costs. ■ Carbon Trust Implementation Scheme: Designed to help UK businesses reduce energy costs by installing more efficient technology, this scheme offers an independent evaluation of the most energy efficient solutions for your organisation. It also lists accredited suppliers to carry out projects. Chalmor is a Carbon Trust Accredited Supplier. ■ Energy Efficiency Financing: The Carbon Trust has partnered with Siemens Financial Services to provide financing options to organisations seeking to reduce energy use. Finance payments are calculated to be offset by energy savings, the aim being that the loan pays for itself. Organisations must have been trading for longer than 36 months to apply. ■ 5% VAT: This reduced rate of VAT applies to the purchase AND installation of energy saving materials for residential accommodation. ■ eTRV+ Heat Service Agreement: Our new scheme provides eTRV+ and PAIR, supplied and installed with no capital outlay. Instead, pay a low monthly fee, which will be covered by energy savings of up to 30%. If limited budges or issues with raising capital are blocking your path to energy and carbon reduction, we can provide you with new avenues to explore or help you apply to gain the capital you need to start making savings. Call us on 01582 748700 or email today for more details. For more information on these and other schemes, visit our Chalmor Green Finance page.